… the online home of the best frozen pizza on the market today! 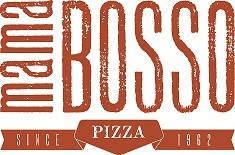 Mama Bosso pizzas are hand-assembled daily and feature fresh ingredients, unique sauces created in our own kitchen and a special pizza dough process that makes the crust of our pies unlike any others you’ll find in the frozen foods section of your favorite grocery store. Find out how Mama Bosso works with local schools, sports teams and other groups to help raise money for good causes. Learn more about our history – there really WAS a Mama Bosso! Looking for a place to buy a Mama Bosso pizza? Click here to get to our store locator. Read what people are saying about Mama Bosso pizza and how we’re helping to make a difference in the communities we serve.